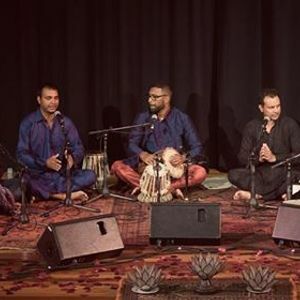 Mystical musical adventures featuring international Sufi qawwali artist Tahir Qawwal, Indian Sarangi player Sangeet Mishra and Pakistani artist Farhan Shah. Supported by Chetan Ramlu on Tabla, and Mankul Sain & Bhairavi Devi on vocals. This is a unique collaboration of Indian and Pakistani musicians - from historically divided countries. Qawwali music offers people an opportunity to immerse in a mood of devotion & prayer through the intricacies of its music and poetry. Each annual concert at the Byron Theatre is a timeless experience of magic and upliftment.